Photo: Looking toward Broder Cabin and Farewell Gap, Sierra Nevada, California. 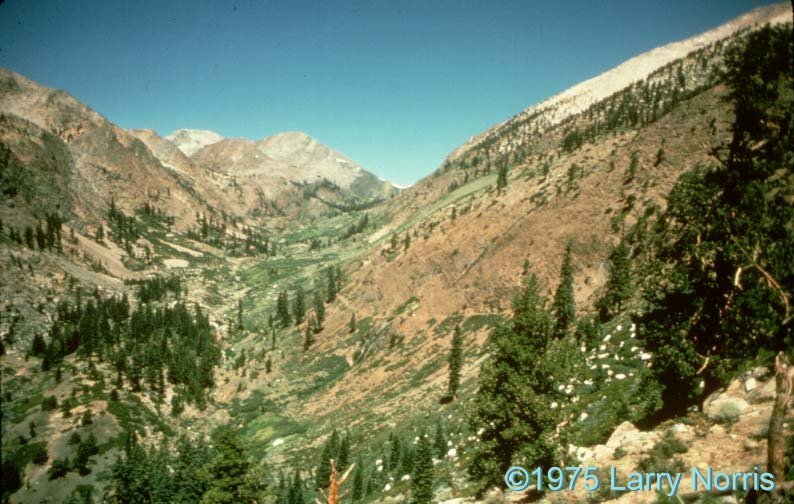 Carl Purpus, Plant Collector in Western America Looking toward Broder Cabin and Farewell Gap, Sierra Nevada, California. Photo by Larry Norris, August 1975. Broder's Cabin, Mineral King, California. Farewell Gap, Tulare County, California.